We Are Looking For Brand Ambassadors to Spread The Word! 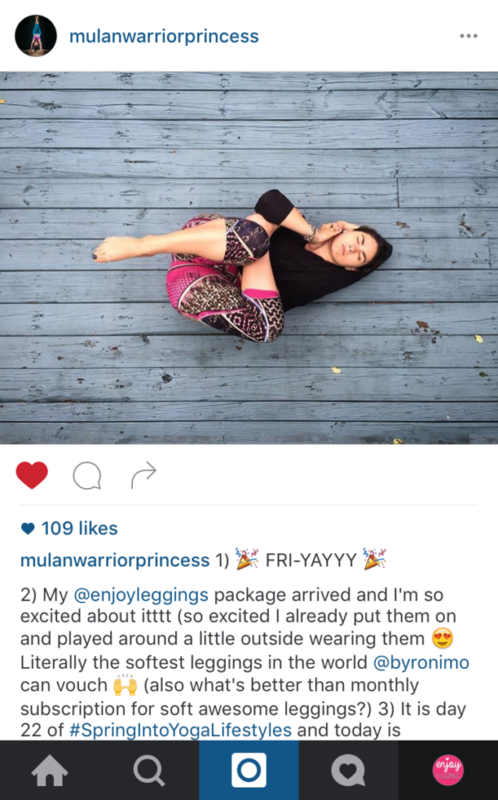 Do you want free leggings? Do you have lots of fans and followers on social media? Enjoy Leggings is currently seeking brand ambassadors to spread the word about our company online. Think You Have What it Takes to Be A Brand Ambassador? Ready To Get Started? Apply Now! Contact us at terrell@enjoyleggings.com with links to your social media profiles, and tell us why you want to work with us!